DOCH CKAE is a death dog metal band hailing from the Kandal Province, Cambodia. DOCH CKAE believes in dogs and that the master of the dogs, the doggod, the great doggod, reigns on electric guitar, ruling down from the upper Skullsky with barking, flesh ravening, heavy drums. 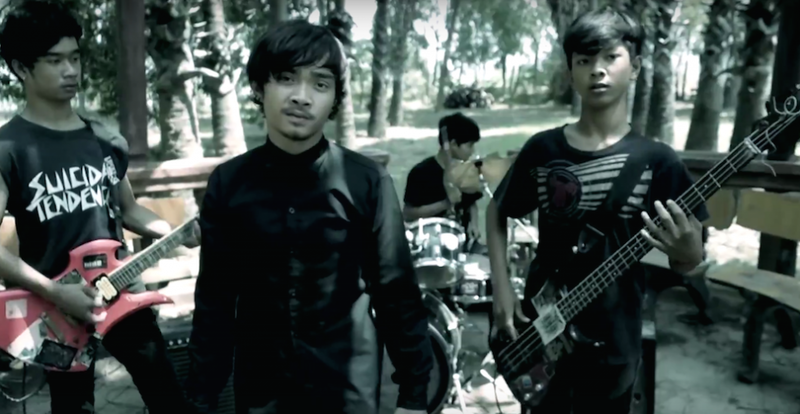 The band is the first Khmer alternative band to record a Death-Metal song in Khmer. In fact DOCH CKAEs Kam Knea Doch Chkae is the first Khmer Death-Metal song ever released. Classic death-style transitions and super chug melded into a unique Khmer style results in a high-energy track with contextually relevant lyrics. A Yab Moung Records Release. The Boys Are Back! Malaysian Ska Band Johny Comes Lately Slay It On New Single!